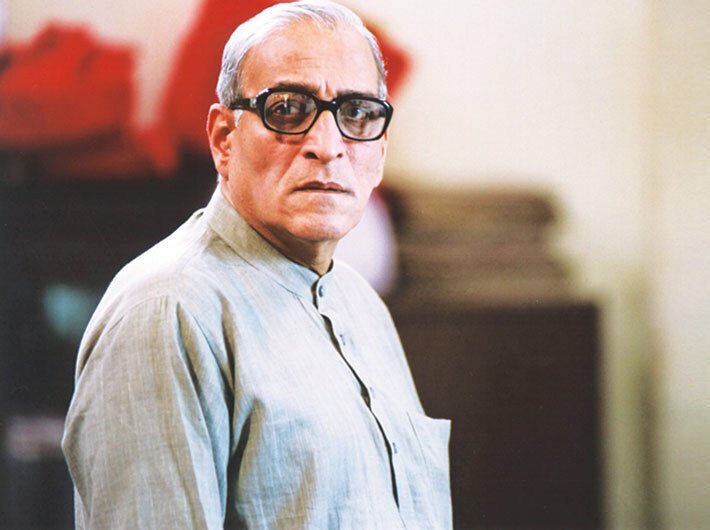 Renowned actor and mental health expert Dr Mohan Agashe wears many hats. He got a degree in Psychiatry from BJ Medical College, Pune, where he later became a professor. It was during his student years that he also found his passion in acting and theatre. He is the founder of the Maharashtra Institute of Mental Health in Pune and has also served as an advisor on mental health education to the state government. As a film actor he has worked with directors like Satyajit Ray, Shyam Benegal and Mira Nair – and had a cameo in Attenborough’s Gandhi. Agashe has also served as the director of the Film and Television Institute of India and is member of the Children Film Society of India. He is the recipient of Padma Shri and Sangeet Natak Academy Award. What is most integral to the work of a psychiatrist and an actor? In psychiatry you have to understand that the person needs empathy and sympathy. In acting, you have to become that person. Psychiatry requires scientific understanding of the person i.e., what you think is happening with the person as against his/her own perception and if the person has an insight or not. Accordingly the course of management has to be designed. It requires objectively understanding the patient’s behavioural problems – as perceived by him, his family and the doctor and designing appropriate solutions for the same. You have to understand the real person and change their behaviour or thinking or emotion so they feel better. In acting, you have to become the character which is created by a writer. Here you are playing a fictitious character by loaning your flesh and body to it. Creating that character as desired by the writer is integral to acting. The objectives of both are different. Any similarities between psychiatry and acting? In Psychiatry, sometimes in order to establish a rapport, a therapeutic relationship with the patient, you have to become an actor but it must appear real to the patient. At the same time the psychiatrist must not believe it to be true as this is only for having a better liaison; for betterment of the patient and his family. While acting is for the audience where you have to have least common denominator and you have to convince the audience. The only commonality is that in both the places it should appear convincing. Both have common emotional purgation. What is your passion, Psychiatry or Acting? This is like asking me which eye or leg I prefer – left or right? You cannot do without either. Roles are played in films and theatre; in society there are no roles to play. It is important to be a good human being for which you have to understand the objective and social perspective of things and find a meeting point. Artists must become good humans first, have compassion for others and shun ego in public life. In private life you can be whatever you want. When they give you a small role but expect a lot… all roles are challenging to play because they are not you. What are the governance issues which are most important to you? The governance which starts right from our home is that before helping others, first help yourself. But what happens is that you end up thinking only for yourself and not others i.e., society at large. Be it democracy or autocracy or whatever, it should not be like this. This is the most important issue. Governance can only happen when you want good of the society at large without doublespeak – to say that you want good for society but that good is only for the self. Even during the times of kings, people preferred a king who worked for the welfare of his people. What role can the government play in creating awareness and removing stigma on mental health? Unless there is an effort to understand the issue, solutions cannot be found and the situation cannot improve. We have mental hospitals set up outside the city or next to jails. Doctors must have a curiosity to understand the sick person. The easiest solution is to declare the person mad so that he can cope with the world. As a matter of priority, help should be first provided to the sick person rather than his family or near and dear ones who are suffering because of it. Not much is being done in the sphere of mental health and a lot is desired. The mental health bill needs much more attention. Law makers must have native intelligence. It helps you to be much more creative so you can say what you want without others knowing it. A sensitive person will always get affected by what is happening around. If an artist has keen observation he/she will always find inspiration from past incidents .You have to surrender your intelligence when you perform. It is like a seasoned cook who trusts instincts more than intelligence. How do you keep your work relevant with regard to changes in society and mind sets? It is about sensitivity and being connected with the society. If you are sensitive you don’t need to speak much. An artist who lives in his own dream world is disconnected from society and does art for art’s sake. As an artist, I cannot isolate myself from society and have to relate to social issues. While one may want to do a lot, it may not be possible and that can be painful. At present I am promoting and marketing Kaasav, a Marathi film which I have produced. It explores depression. It is from the same team which earlier directed the award-winning Marathi film Astu that I acted in and also co-produced.